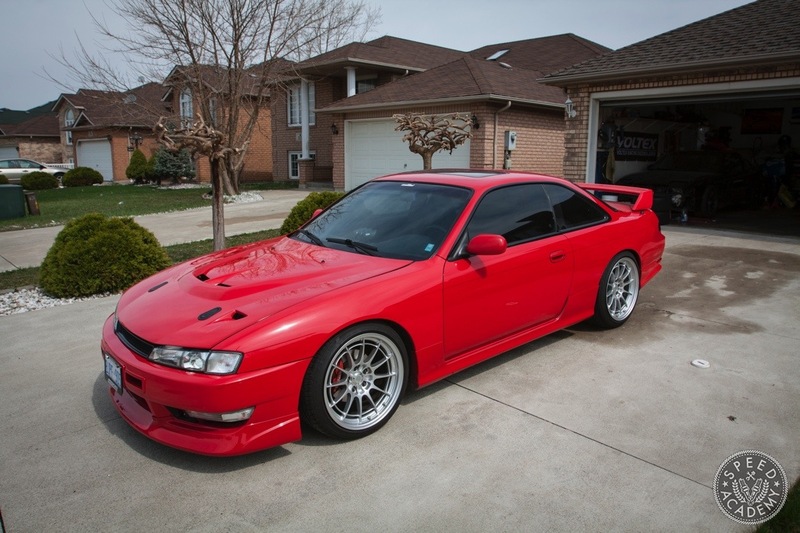 When I started out building the 240SX I told myself that despite using it primarily as a track car I still wanted to keep it looking and driving like a street car. 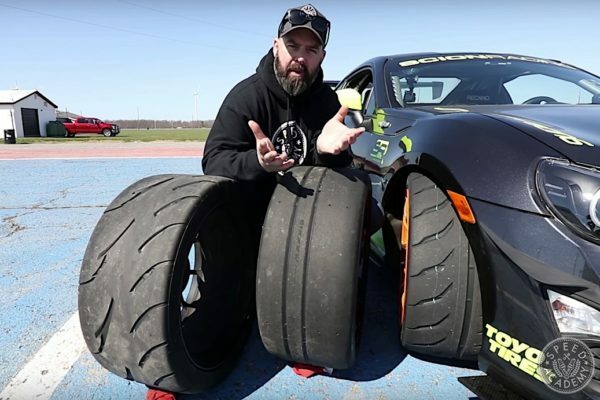 It’s a challenge to build a vehicle that’s really quick at the track and doesn’t need to be loaded on a trailer to get home, which is why I like them so much. 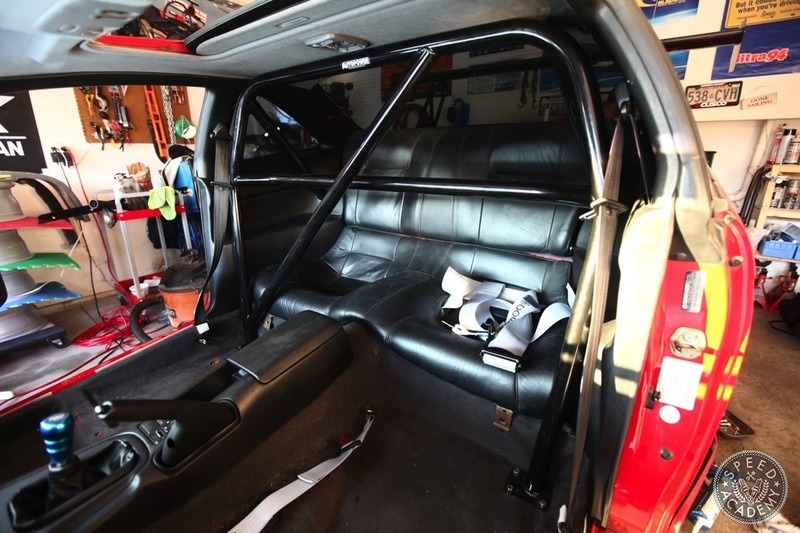 When it comes to safety, a roll cage is always your first choice but for the reasons listed above and the fact that I don’t really feel too comfortable driving a fully caged car on the street, the next best solution is a roll bar. 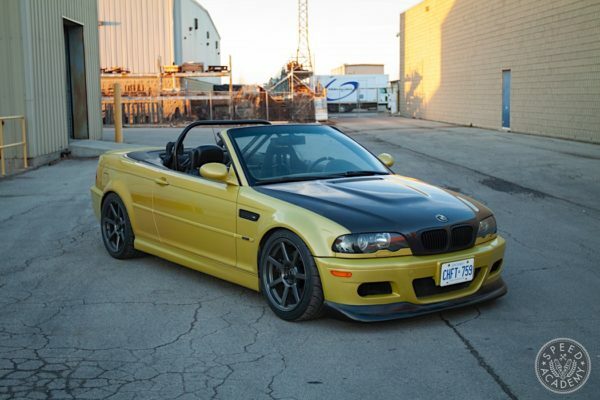 It’s a great addition to any street car as it adds roll over protection and increases chassis rigidity. For most road going track cars that aren’t making insane amounts of power and therefore aren’t hitting ludicrous track speeds, a roll bar is completely adequate. Building a custom roll bar is always an option but unless you have a pipe bender and proper cutting tools, it’s a job best left to the professionals. 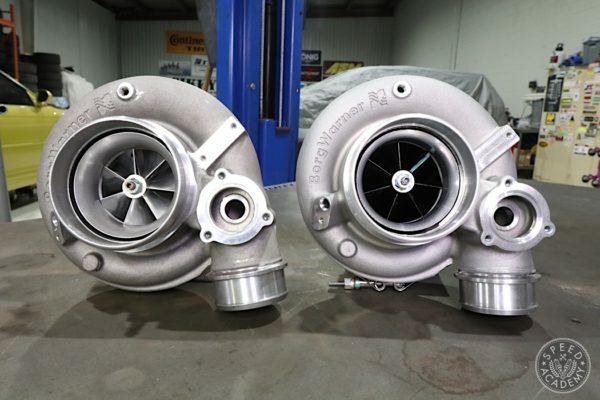 However, there is a solution for the DIY racer and that’s buying a pre-made bolt-in unit and one of the leading companies that manufacturers them is Auto Power Industries. Designed and built in the USA, Auto Power roll bars are built to meet or exceed the safety requirements for most competition sanctioning bodies. 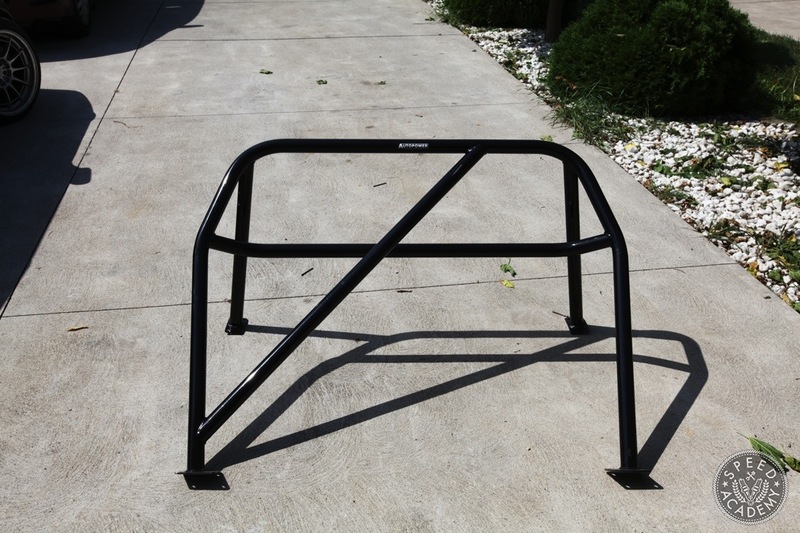 The bars are certified MIG welded and jig notched for maximum strength while ensuring a proper fit every time. 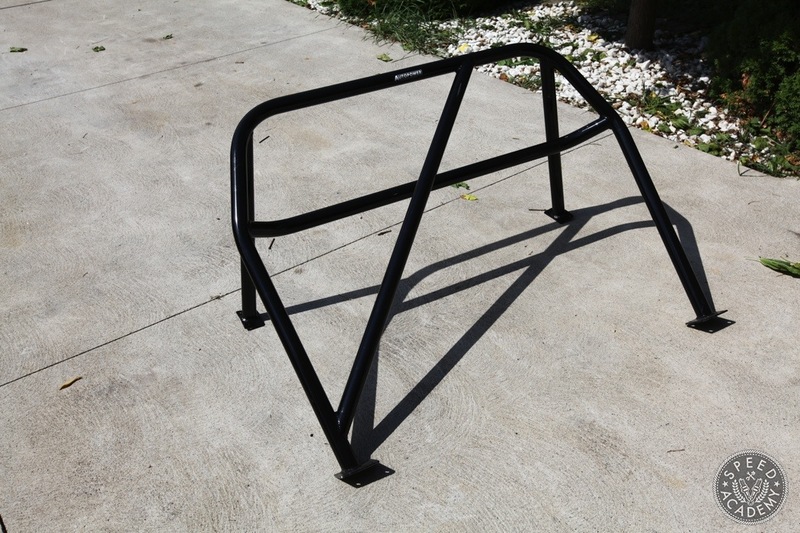 The model you see above you is the Race Roll Bar version which includes a diagonal cross brace and a harness mount tube. 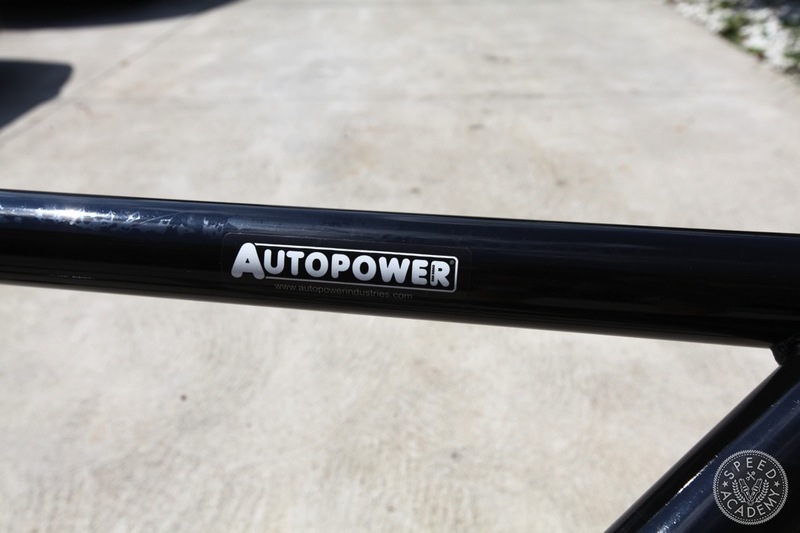 Auto Power offers many different types of bars and bolt-in cages that you can find listed on their website. 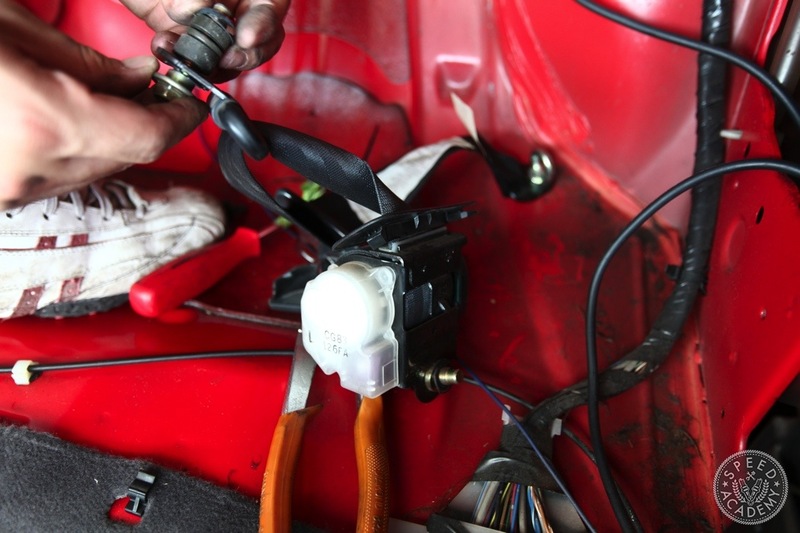 So lets begin with the installation, first you’re going to need to yank both drivers and passenger seats out. 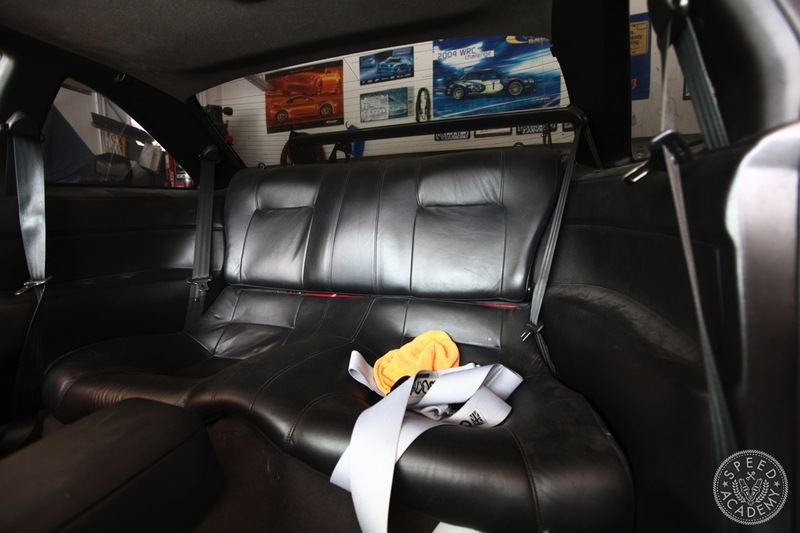 Then you can proceed to remove the rear interior. 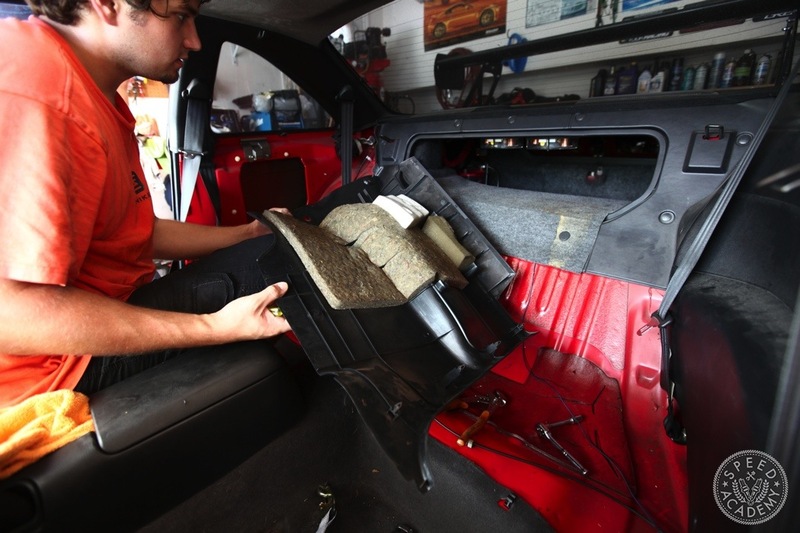 It’s super simple and really just requires a few bolts to remove the upper seat cushion backing while the lower one just pops out. The plastic side panels also need to come out as the rear of the roll bar will be mounting behind them. 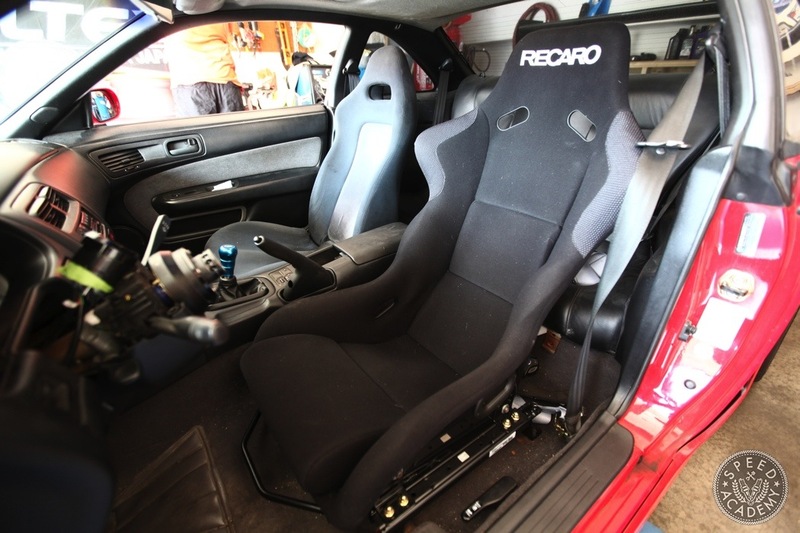 You’ve gotta love how simplistic the rear interior of the 240’s interior is. I had it out in 15 minutes, they certainly don’t make cars like this anymore. Next up, seat belts. There’s no reason to keep them installed so why not remove them. 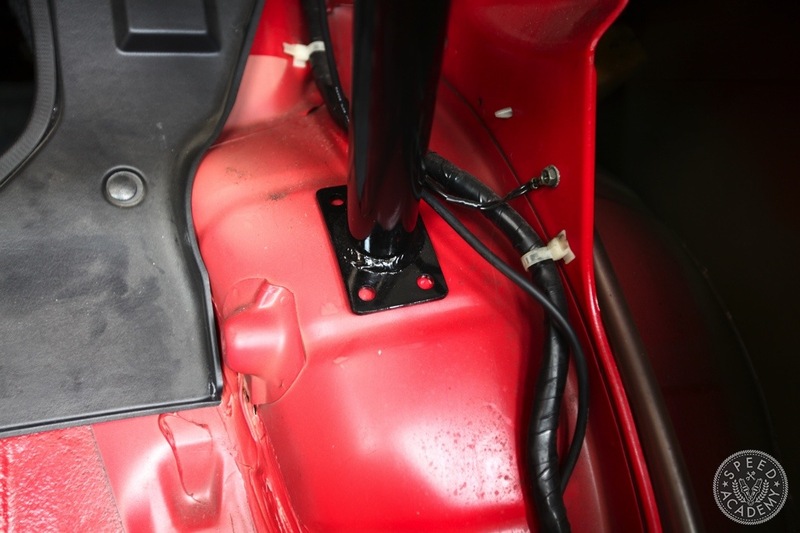 Here’s the tricky part, to install the Auto Power roll bar slide it in through the passenger door. It’s a tight fit but with a little finnegaling it’ll mount into place. What’s not shown is how I fit the bar inside the car without the rearward tubes so don’t try installing it as one piece. It’s not going to fit! 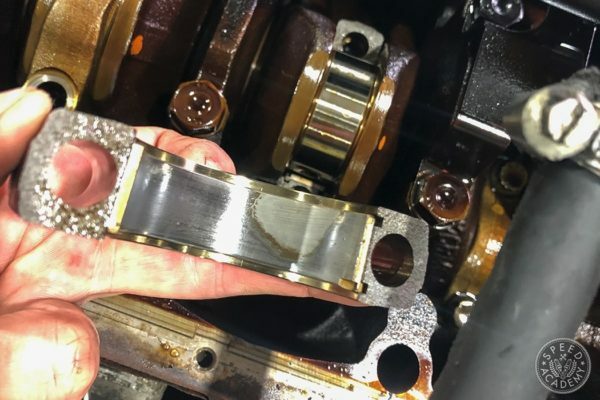 It’s a wise idea to check clearances and make sure all the mounting points are flush with the body. Are you running a 5 or 6 point harness? If so, how and what did you mount the submarine belt to? Love the site by the way! marsh5 I’m in the process of doing the same thing, I was told to just drill a hole through the floor and use a 3/8″ grade-8 bolt and some washer to install it. 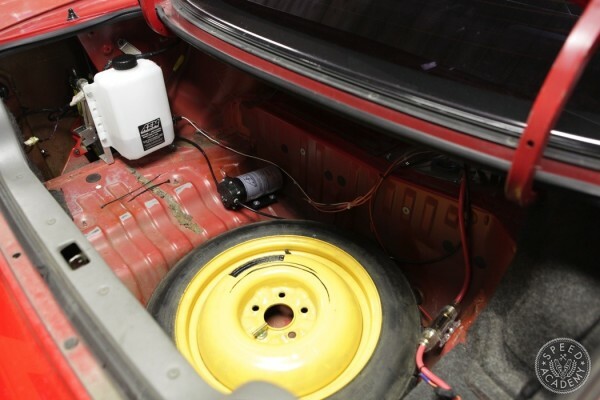 There’s a video for the targa car build that shows exactly where you should be drilling. I’m running a 4-point setup but will be going to a 6 point come spring and will go through how to install it and post a story.